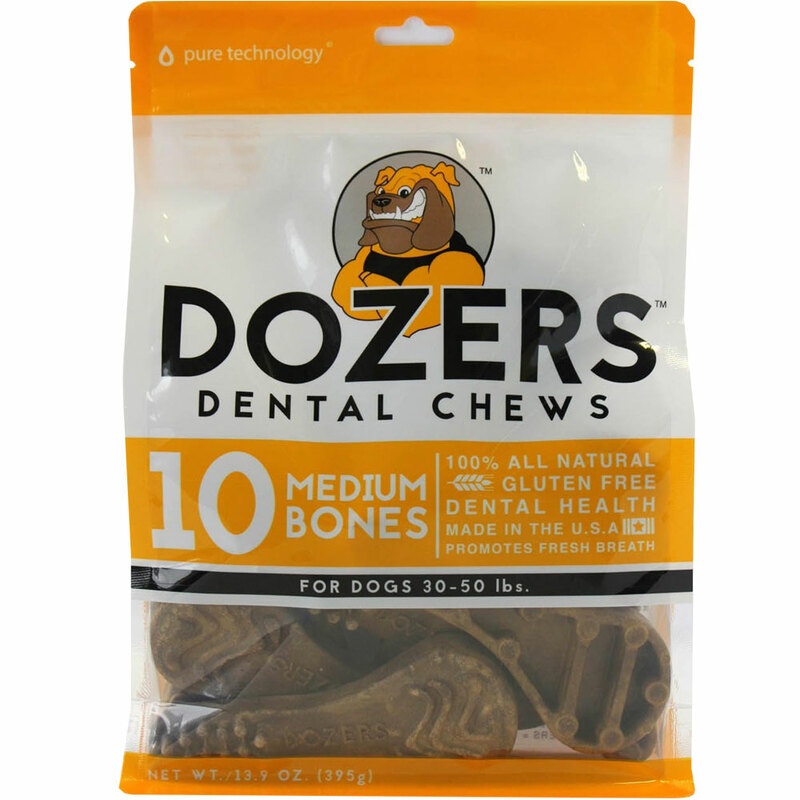 Dozers Dental Chews for Dogs are made with 100% all natural ingredients to promote fresh breath in your canines. 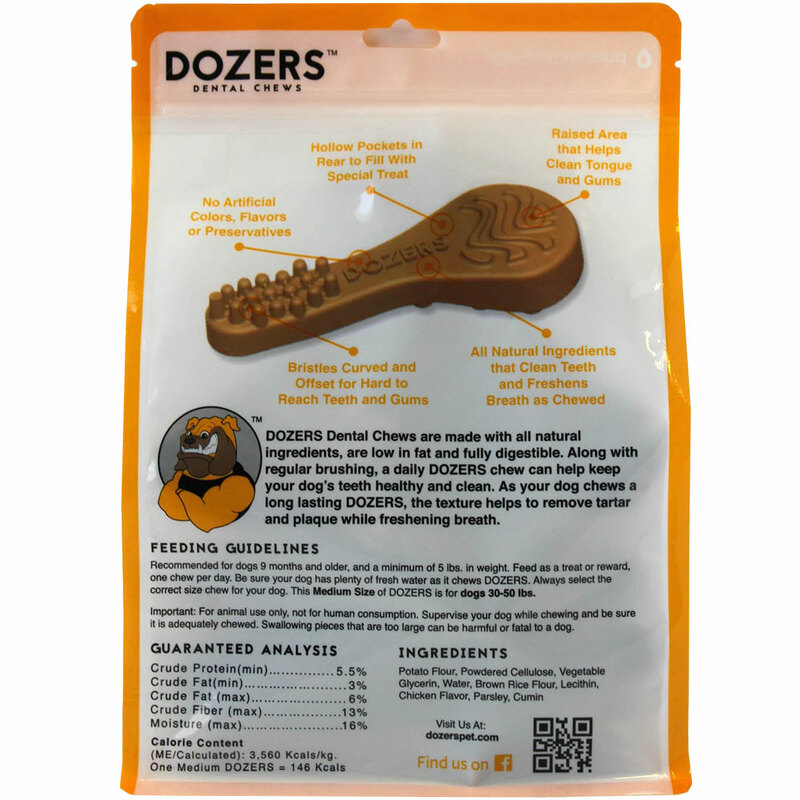 With their unique texture, these chews can help keep your dog's teeth healthy and clean by removing tartar and plaque with each bite. With curved bristles to clean teeth and gums and a raised area to help clean the tongue, each area of your pup's mouth can be reached! 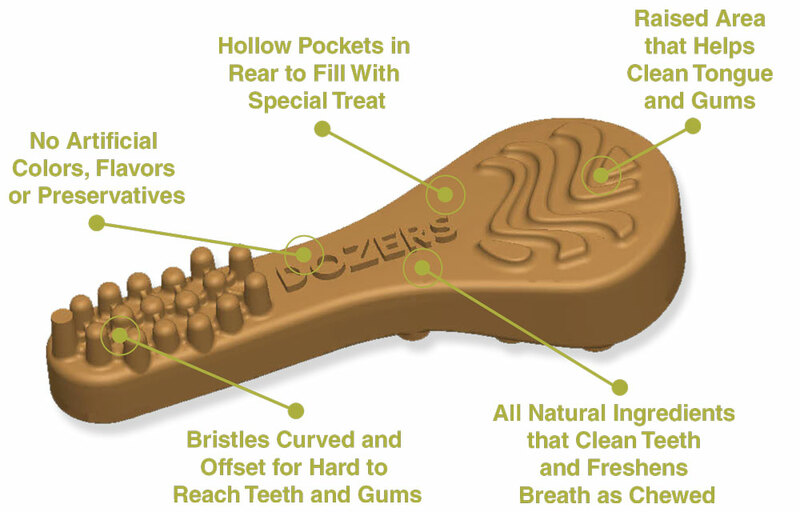 To make it even more fun, the hollow pockets can be filed with a special treat for your dog to further enjoy! Recommended for dogs 9 months and older, and a minimum of 5 lbs. in weight. Feed as a treat or reward, one chew per day. Be sure your dog has plenty of fresh water as it chews DOZERS. Always select the correct size chew for your dog. This Medium Size of DOZERS is for dogs 30-50 lbs. For animal use only, not for human consumption. Supervise your dog while chewing and be sure it is adequately chewed. Swallowing pieces that are too large can be harmful or fatal to a dog.